Smartphones are fast becoming a crucial part of our lives. They touch every aspect of our daily routines starting from providing us our early morning news to helping us navigate successfully through the least crowded route to the office while keeping us entertained – they are indispensable! Living without them even for a few hours can be quite a harrowing experience as we struggle to accomplish tasks that are a breeze with the smartphone on our side. However, a phone is as good as its battery. While it is a good idea to plug it into the socket every night before you sleep, there are times when it is just not possible to find a charging source when you need it. This is where some smart alternate ways of charging your smartphone come in. Try these out if your smartphone runs out of juice just when you have an important call. A simple car charger plugged into the cigarette lighter socket of your car can get your handset up in no time. While a standard car charger can charge most smartphones you might have to check for compatibility if you own an iPhone, if you own more than one mobile phone then getting a charger with dual USB outlet is a good idea. For the cycling enthusiasts, a bicycle dynamo charger can ensure a live smartphone no matter how long the journey or how high the volume of the music streaming into your ears. Then there is the Atom generator which can harness the human generated power as we merrily pedal away and then use this to charge our phones. 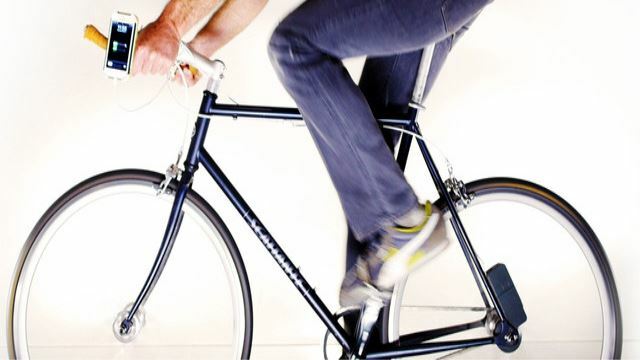 While most bicycle chargers would require you to part with you phone for a while as it charges, an Atom generator allows you to stay connected while your phone is seamlessly charged. The great outdoors can be a lot of fun but it can also have some drawbacks. A missing electric socket is one of them that can lead to a lot of inconveniences. 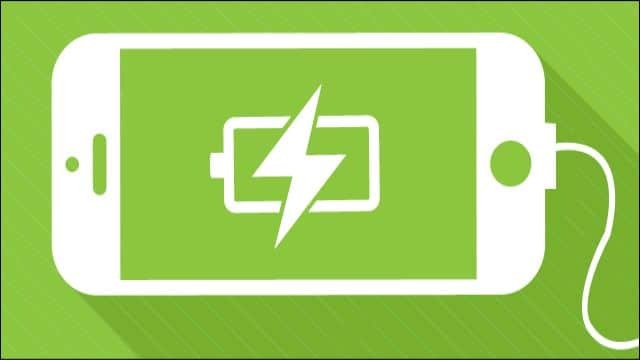 Keeping your phone charged to keep you connected to your near and dear ones can become an issue here unless you opt for some alternate charging methods that are not only effective but also eco-friendly. Renewable energy can help you ride the tide. 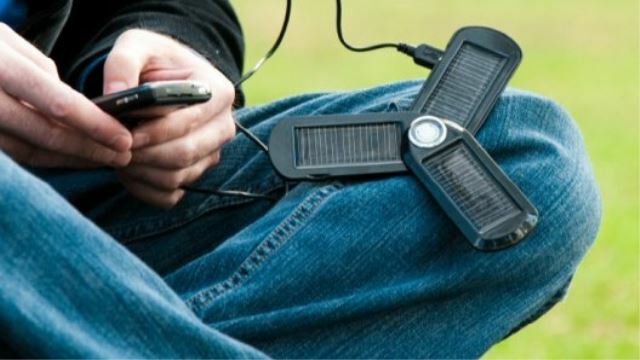 Solar chargers can convert the sun’s heat energy to a form that is useful to charge your smartphone. There are different kinds of solar chargers, some that sit on a window facing the sun while others which have solar panels that have to be flat on the ground. These chargers are not very bulky and can be easily carried in your backpack. Certain solar chargers even allow you to charge them when there is enough sun light and then use them later even in the dead of the night. HYmini is a wind powered mobile charger that uses the wind energy passing through blades to charge smartphones. 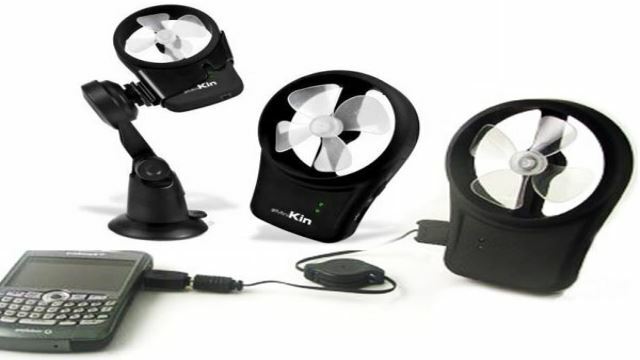 Do your bit for the environment with these eco-friendly means of charging. Hand cranking chargers can come in handy for those emergency situations when even a 5% battery can make a big difference. Connect the hand cranking set to your mobile and get cranking, a minute of rotating the crank should get you around 1% battery. If you switch off you mobile then the percentage per minute of cranking goes up to 1.5%. This might seem negligible for general purposes but if you are standing next to your totaled car and looking for help then the 5% becomes pretty significant. As the name suggests these are power stores that can be charged once and then used to charge other devices through the various sockets available on them. This is an exhaustive source that would run out over a period of time as the power stored in the power bank also dwindles with repeated charging, unless you have intermittent access to an electric socket to recharge the power store. 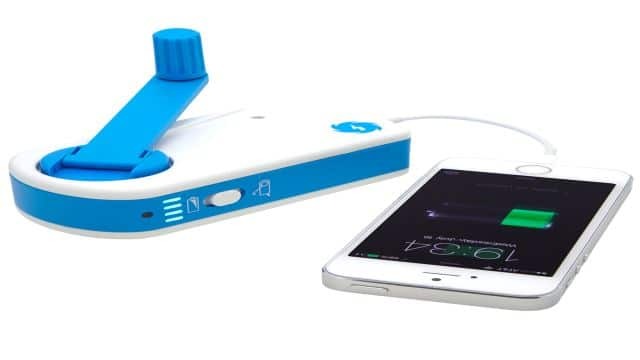 This device can not only charge your phone but laptops, tablets and more. 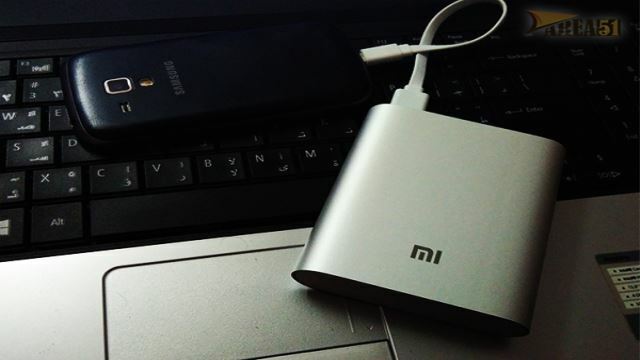 You can also use the above methods to charge th epower bank and then later use it when needed. If you are looking to recharge your phone, go ahead and order yourself a coffee. Sounds ridiculous, trust us, having a cup of coffee or even a cold smoothie can get your mobile charged in little time. Epiphany onE Puck is a charger in the shape of a disk. 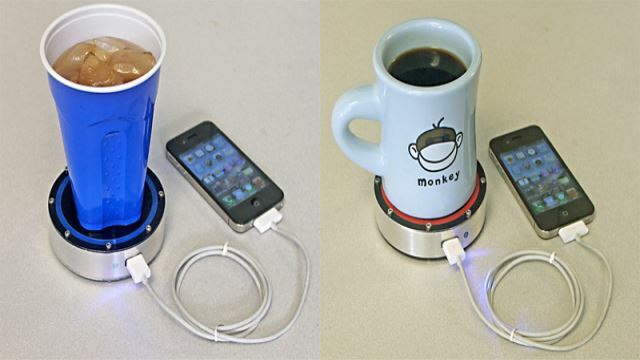 Place your hot or cold coffee mug on top of this and it uses the heat or chill energy to charge your phones. If you are not much of a coffee drinker then the EverPurse or Phorce chargers can come to your rescue. These are essentially bags which can charge you smartphone when it is inside them. This is perfect for those people who keep their phones inside purses and then forget charging them. There are many other interesting chargers out there. 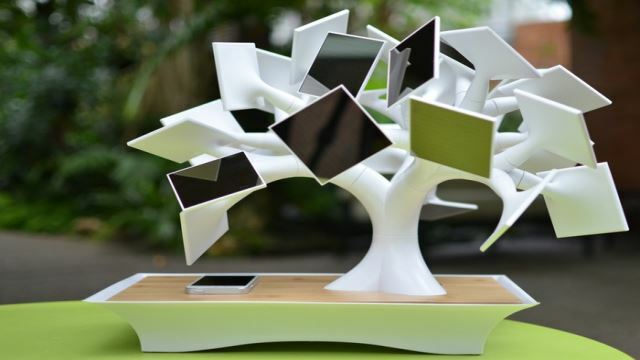 The Electree that not only looks decorative but also captures light through its various mirrored branches and converts it into energy that is then used to charge smartphones. Orange Power Wellies are great for walkers; convert all the effort your legs are putting into energy to charge your phone through these cool looking boots. 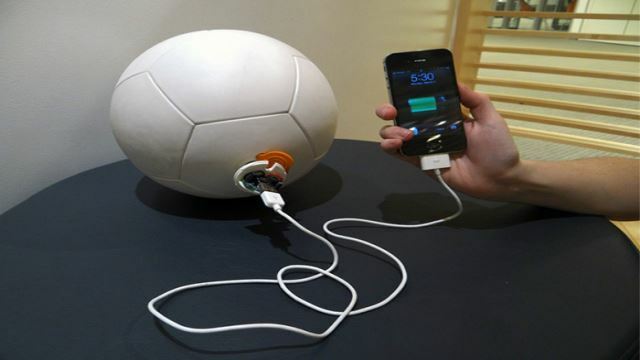 If walking is not your style and you’d rather play then invest in Soccket which is a ball that stores power as you kick it around and then it is to charge your phone. There are some other cool ways of charging your phone as well but the ones listed here are definite winners. The next time you forget your charger at home or are on a trip to the wild, do not scrooge on your phone usage. Go ahead and allow the children multiple games of ‘Subway Surfers’ or indulge yourself with a movie while traveling. These cool charging solutions will ensure maximum battery for your favorite gadget no matter what the time or occasion.